« EMC Oracle-Related Reading Material of Interest. Please note, the SLOB Resources page is always the sole, official location to obtain SLOB software and documentation: SLOB Resource Page. We’ve all been there. You’re facing the need to assess Oracle random physical I/O capability on a given platform in preparation for OLTP/ERP style workloads. Perhaps the storage team has assured you of ample bandwidth for both high-throughput and high I/O operations per second (IOPS). But you want to be sure and measure for yourself so off you go looking for the right test kit. There is no shortage of transactional benchmarks such as Hammerora, Dominic Giles’ Swingench, and cost-options such as Benchmark Factory. These are all good kits. I’ve used them all more than once over the years. The problem with these kits is they do not fit the need posed in the previous paragraph. These kits are transactional so the question becomes whether or not you want to prove Oracle scales those applications on your hardware or do you want to test database I/O characteristics? You want to test database I/O! So now what? At one end of the spectrum we have fully transactional application-like test kits (e.g., Swingbench) or low-level I/O generators like Orion. What’s really needed is something right in the middle and I propose that something is SLOB. SLOB is not a database benchmark. SLOB is an Oracle I/O workload generation tool kit. I need to point out that by force of habit many SLOB users refer to SLOB with terms like benchmark and workload interchangeably. SLOB aims to fill the gap between Orion and CALIBRATE_IO (neither generate legitimate database I/O as explained partly here) and full-function transactional benchmarks (such as Swingbench). Transactional workloads are intended to test the transactional capability of a database. I assert that by the time customers license Oracle Database they are quite certain Oracle Database is a very robust and capable ACID-compliant transactional engine and unless you are testing your transactions it makes little sense to test any transactions. That is just my opinion and partial motivation behind my desire to create SLOB–a non-transactional database I/O workload generator. Yes, SLOB is free of application contention yet it is an SGA-intensive workload kit. You might ask why this is important. If you want to test your I/O subsystem with genuine Oracle SGA-buffered physical I/O it is best to not combine that with application contention. SLOB is also great for logical read scalability testing which is very important, for one simple reason: It is difficult to scale physical I/O if the platform can’t scale logical I/O. Oracle SGA physical I/O is prefaced by a cache miss and, quite honestly, not all platforms can scale cache misses. Additionally, cache misses cross paths with cache hits. So, it is helpful to use SLOB to test your platform’s ability to scale Oracle Database logical I/O. README files and documentation. After extracting the SLOB tar archive you can find the documentation under the “doc” directory in PDF form. A simple database creation kit. SLOB requires very little by way of database resources. I think the best approach to testing SLOB is to use the simple database creation kit under ~/misc/create_database_kit. The directory contains a README to help you on your way. I generally recommend folks use the simple database creation kit to create a small database because it uses Oracle Managed Files so you simply point it to the ASM diskgroup or file system you want to test. The entire database will need no more than 10 gigabytes. An IPC semaphore based trigger kit. I don’t really need to point out much about this simple IPC trigger kit other than to draw your attention to the fact that the kit does require permissions to create a semaphore set with a single semaphore. The README-FIRST file details what you need to do to have a functional trigger. The workload scripts. The setup script is aptly named setup.sh and to run the workload you will use runit.sh. These scripts are covered in README-FIRST. The size of the SGA buffer pool is the single knob to twist for which workload profile you’ll generate. For instance, if you wish to have nothing but random single block reads you simply run with the smallest db_cache_size your system will allow you to configure (see README-FIRST for more on this matter). On the other hand, the opposite is what’s needed for logical I/O testing. That is, simply set db_cache_size to about 4GB, perform a warm-up run and from that point on there will be no physical I/O. Drive up the number of connected pseudo users and you’ll observe logical I/O scale up bounded only by how scalable your platform is. The other models involve writes. If you want to drive a tremendous amount of REDO writes you will again configure a large db_cache_size and execute runit.sh with only write sessions. From that point you can reduce the size of db_cache_size while maintaining the write sessions, which will drive DBWR into a frenzy. I/O, lots of it! Oh, and the absolute minimal amount of CPU overhead possible considering SLOB generates legitimate SQL-driven, SGA-buffered physical I/O! I want to add a think time, so I added a variable to slob.conf and slob.sql. It seems I am breaking the wait mechanism, because I get 0 minutes of benchmark with this statement in the slob.sql loop. Thanks Kevin for all your work on this Kit. I used this Kit to verify that the performance on my new Intel 8 socket servers was significantly different than expected for LIO’s (I suspected this from some of my own testing). Published benchmarks do little to give you insight on how Oracle will behave on hardware. This kit gives you a lot more information on how an oracle workload acts. You’re welcome. At 8 sockets you are using SLOB to appreciate the NUMA affect on your instances. SLOB is indeed good for that too. Kevin, once again thanks for the oppportunity to use SLOB. It’s been invaluable given our permanent effort in rationalising, consolidating and virtualizing our db servers. Orion is too “raw” to cover all bases and most other benchmarks out there measure only one type of environment and are waaay too complex and lengthy to quickly setup and get results. With SLOB I strongly like the simplicity of the single “tweak button”: db cache size. And the results are measured with AWR, which is something we can all relate to and with. The results we got with virtualized Aix (vio) went a long way in validating and explaining the advantages and shortcomings we had empirically observed with this architecture. In particular, SLOB was instrumental in proving and confirming some of the observations I had passed on to our IT architects, namely the fact that our db server partitions are inadequately provisioned in terms of I/O pipes. We can do North of 200K liops/core, but nowhere near an order of magnitude less with physical I/O. This is now in the process of being addressed in the next hardware refresh cycle. Just like in so many other engineering issues, once we can pin where the problem is, we can fix it. I’m now looking forward to re-testing with 11g and Aix 7.1. Mostly to provide myself and management with a degree of confidence that whatever may break after our upcoming upgrade, is not caused by an underlying architectural or setup defect. The most striking thing with SLOB is the ease and simplicity of setup, with repeatable and consistent results and easy and simple to control/modify/tweak. In fact, I’d like to propose you rename it Simple Little Old Benchmark! Given my engineering background, I like simplicity: it works! Now *that* is simplicity and truth rolled into one! Leighton Nelson has tweeted of his recent testing with SLOB on AIX. thanks a lot for SLOB-I am going to use it extensively. As you say, ORION isn’t the answer. I am currently involved (sadly not leading!) an evaluation of Flash memory in PCIe devices, or shared via FC for a standard hardware setup. We were missing a tool that creates real Oracle workload, instead of iometer and the likes. Now I’m also being able to BAARF and show them log file parallel writes > 10 ms! Anyway, maybe you can follow up with a webinar or do a demo on using SLOB and how to interpret the results? Thanks for a great tool! If you post results here I can comment. Upload your AWRs to the cloud and point at them. We can get a helpful thread going that way I think. Oh please do it! I’m interested in AIX p7 results, I don’t have ready access to (recent) IBM kit. Here’s are some AWR reports from SLOB that I collected recently. So based on those results I’m looking at around 20k IOPS/core for physical reads (cpu_count=2). At the same time I was able to drive more bandwith by spreading my IO across more devices. I’m not too sure what the LIO results mean. It topped out at around 380k/core with 24 readers and 2 CPUs. SGA was set to 4GB. I suppose increasing SGA will provide even more bandwith. Since your physical reads are falling in the 2-4ms range I recommend you keep all else the same and then try runs at 64, 96 and 128 users. That will drive up the IOPS and if the storage is scalable the service times will remain flat. I think it’ll make a very interesting read or presentation to compare results of different kit and settings, to point out strengths/weaknesses, bottlenecks and what is responsible for the bottlenecks. We’ll need people to contribute SLOB AWRs. Maybe a common Cloud site? I could host these on my company’s website. I have plenty of space available. Thanks Matt. BTW, you should post the output of /proc/cpuinfo. Most folks would be as surprised as I was to see just how bottom-bin these CPUs are considering the SLOB PIO they are able to drive. Thanks, Matt. That goes a long way to dispel the assertion that massive IOPS over FC requires too much CPU… these are totally bottom-bin Xeons pushing over 18,000 IOPS/core via fibre channel. Fact trumps faith…long live SLOB! another thing I’d like to mention. I have run the LIO test on a T4-3 and get 3,652,597.7 LIOs per second with 0 writes/512 readers. I was wondering if there were any recommendations for driving a platform to the maximum possible? I’m really interested in the LIO test to see which platform scales well. This machine is 2s16c128t with 528G RAM. I used an 80G SGA (ASMM-which leaves about 72G for the buffer cache). Can share AWR if needed. Have you used processor groups to pin it all into a single socket to get your baseline? Why don’t we take it up on the Oaktable email channel. We can enlist Glenn Fawcett if the AWR has no clues. I will say that for LIO you should not be over-driving the threads to that level. The LIO model of SLOB has no waits so if you are running 4x processes to processor threads you are creating your own (scheduling) waits. This workload can keep cores busy…should be no reason to lean on the threads. What does it look like if you use processor groups to lock the SGA into the memory of socket0 and run all the foregrounds pinned to socket0 at, say, 16 SLOB readers? Than, perhaps, experiment with 32 SLOB readers in that recipe. do you have any pointers to further documentation on setting up the T4 by locking memory etc as mentioned above? more efficient code on the way ? Not sure what you’re asking. This is the latest drop though… so you see about 15% boost from this latest SLOB kit then? Is this user error on my behalf? Trying to extract for solaris x86_64. Thanks for the tool kit. Just a quick question – should we be setting filesystemio_options=directio to bypass file system cache? 1. How many CPUs of what type do you have? Try setting readers to 2x the number of processor cores and share with us your findings… a more complete snippet of the AWR would be useful too. Ok, thanks, that makes it clear. Netapp is connected via FC with 40 spindles. That google docs reference takes me to a dead end. Am I doing something wrong? The document should be open to the public (tested from a colleagues pc) I think you need to click on file then download to view it as it hasn’t been converted to google doc format as it messes up the formatting. Hmm…I still get “No preview available”. posting back from twitter on an AWR report you’ve referenced. The report shows ‘db file parallel read’s in Top 5 and it contradicts your description “SLOB supports testing physical random single-block reads (db file sequential read)”. Technically speaking parallel reads are close to random reads except they take into account index structure and utilize async code path. Tanel described the logic behind parallel reads here. So just to be safe you might want to try turning this thing off by a hidden parameter _db_file_noncontig_mblock_read_count=1 (defaults to 11 on a 11.2.0.3). IOPS reported in the ‘physical read total IO requests’ reflect real random reads as ‘physical read total multi block’ is zero, so looks like Oracle counts them correctly (didn’t know how it is accounted before reading docs). Yes, I need to change that wording. I’ve known all along that both paths were pushed by SLOB (db file parallel read and db file sequential read). The most important thing is that the workload is all single block random as I intended to point out after your tweet, but since you point it out here I’d say all is well. I personally see no value in setting that particular hidden parameter. In my mind as long as the I/O is all single block random it’s OK by me. and workload pattern has been change. More readers are required to run same IOPS and every run cycle is much longer. Can you share an AWR report with and without your event? I prefer that approach over the hidden parameter. I’d like to see the AWRs to understand what it does to the workload. Thanks for giving SLOB a try, Marcin! This is a 2s12c24t server than can handle upwards of 400,000 8K random read IOPS from a XFS file system (filesystemio_options=setall so O_DIRECT) residing in a md(4) SW RAID volume. The difference between the default behavior and the behavior with the 10753 setting is only ~3%. What sort of IOPS difference is it in your testing? I think you mean 2s12s24t. At 16 readers there is a not much concurrent I/O outstanding. Disabling non-contiguous multi-block reads just means that now this low-concurrency workload is low-concurrency *and* fully blocking. I think what your test proves to us is that your storage is bottlenecked in the 14K IOPS range and that 64 readers is a sufficient concurrent workload to drive that storage to the limit. By the way, be mindful that Ext3 does not support concurrent writes (even in O_DIRECT) so when you switch to a writer test you should see a massive penalty…unless, that is, your tablespace consists of lots and lots of really small files. An interesting thing for you to experiment with might to boot the instance with a small (40MB) recycle pool because the tables are created with this association. Running in this manner will allow for the index blocks to remain in the SGA buffer pool. As it stands now you are suffering PIO for both index and table. Please give it a try and tell us what you find out. I will try recycle pool later and will let you know. So total value is very close to my calculation by LIO per sec is different. But according to output from v$sysstat similar number of LIO has been done in 4 sec which is around 7 723 474 LIO / sec. Good find. You are right. The “before” awr snap should not be taken until after the sessions are connected and the 10 seconds of “dust settling.” I’ll post up a fix. Thanks for sharing the SLOB. At the end of the SLOB/misc/create_database_kit/cr_db.sql, the alter table is actually for the tablespace IOPS? Yes…that part of the kit presumes that naming convention. I’ll look into that. First one is an AMD 6276 chip. The server is a 2 socket, 16 core server with 128g of memory. The AWR report can be found here. These numbers are really impressive for this hardware. Even better than most of the Intel chips that proceeded it. Second one is an Intel 2870. The server is a 2 socket, 10 core hyperthreading server with 128g of memory. These numbers bested the numbers in my exadata, and bested the AMD numbers. There are certainly impressive. This new Intel E7 4S chip Rocks !! 2. The SLOB runit.sh args in both cases. Sorry, both servers are 2 socket. Thanks for the clarification, Bryan. Really cool numbers! I’m not surprised adding on just a few more than core-count for Intel with SMT helps. Would be interested to see where the SMT threads degrade the LIOPs rate. I certainly wouldn’t expect 80 SLOB sessions (in the LIO model) to produce more LIOPS than 40 but I can’t test that. There is likely a break point. Probably at about 56 sessions (70%…queueing theory). I’ll try to get to it this week, along with SLB numbers. Are you at all interested in any PIO numbers ? the 2 were comparable with the EMC DMX3 I have hooked up.. That’s the best my storage folks could give me for this little test. I also have a new storage array coming in next week with a lot of SSD to benchmark. Life is good 🙂 I will try to hook it up my little server farm, but the servers are due back to the vendor in a couple of weeks. I’d love any PIO numbers… all good! Let me know if you want a SERIOUS Tier 0 disk array to try out. We leave Flash based SSD’s in the dust…literally. 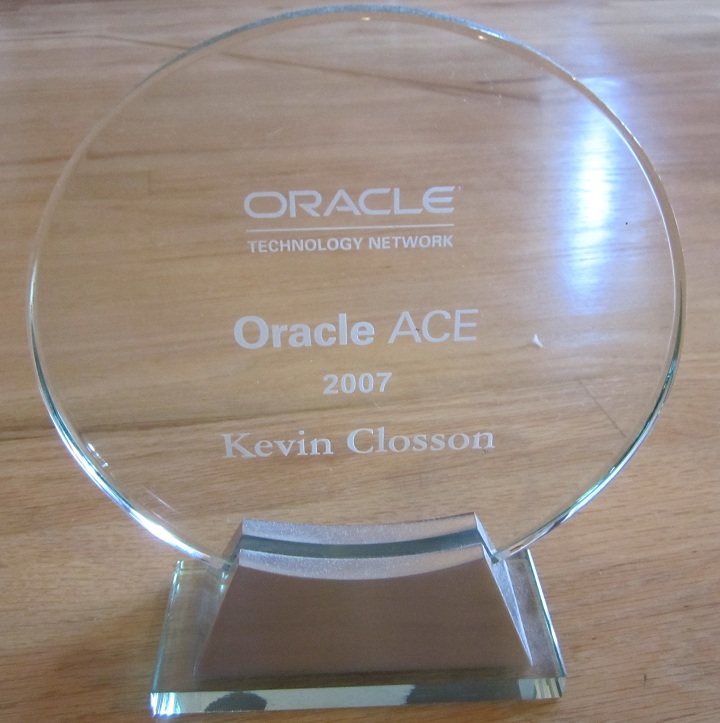 I’m just starting my Oracle based benchmark testing, but everything I’ve done up to now has convinced me that the marketing claims around the world records Kove holds are real….we shall see shortly! I am going to use this to test an XPD L2 Kove disk array. The connection is Fiber Channel, so I’m not going to see 5M IOPS like I could with Infiniband, but I should put just about anything else to shame with this configuration! If I can get this working, I’ll move up to Infiniband. Question – can you use RAC with SLOB? I just don’t think I’m going to generate enough I/O with a single instance. I have 48 cores and 500 GB of RAM in the server. 8 FC connections into the switch. Will do and thanks so much! thank you for this tool and it’s method. I tried to make myself comfortable with SLOB for LIO testing. But I’m somehow confused by my first findings. it’s rare to run with more readers than CPUs. Do I have some errors in my setup? Do you have AWRs? Do they show any serious latch contention? I can envision piling up more reader.sql sessions may keep more LIOPS going if there is some sort of chaotic contention on just a few hash chain latches others not hashing to those buckets can continue to push LIOPS? Just a hypothesis because I have no more to go on that that. In general a state of health is 1 reader.sql session per core or at most 2 per core (SMT) .. piling up beyond that likely indicates a problem. Look at what reader.sql does and the schema and try to finger any reason these processes would not run full bore. If running full bore with more sessions than cores means waits for CPU. there I tested with readers 1 2 4 8 16 24 32 40 48 64 72 80 88 96 104 112 120 128 – for each reader I had 3 runs: first as a kind of ‘cache warmup’, the other 2 to see if they are similar. For that purpose I used a script meta_runit.sh attached. meta_test1_bx.txt is the direct output of this run (with a slightly modified runit.sh). The highest wait (beside DB CPU) is “library cache: mutex X” in many of the AWRs. – I will search if I can get more library cache hash buckets. – too much parsing? @martinberx : Uh, that one is ugly..that is a “wait” that burns CPU! @martinberx: what is your hardware that is giving you MutexMadness(tm) headaches? I have HP DL 380 G7 for sandbox, test and prod. to test multiblock (storage throughput) can I just simply drop all the indexes? I will test the machine for data warehouse. most of the workload are join and scan huge data. I’m trying to download SLOB from http://oaktable.net/articles/slob-silly-little-oracle-benchmark. But it seems there is only an update. Could you (or anyone else following this blog) please help me to find it? I had to run zcat on Linux and then transfer tar to Solaris. It fixed an issue I had. I was instrumented by loadprof.sql as Karl Arao advises. I noticed that a pair physical reads per second/logical reads per second was floating during the test from 500 to 1400. Is that expected? Or should I dig my SAN setup for an answer. I’m not a Storage admin. But I’m pretty sure that my LUN doesn’t own its physical disks exclusively. ok. A general question. I\m trying to investigate if SLOB is a good tool for me. Now we use UFS for our Solaris boxes. It is simple and pretty fast (and old as dinosaurs). But it isn’t flexible. That’s bad now when we are playing virtualization/consolidation games. I’m thinking about ASM or ZFS. There is one more factor adding complexity. We use EMC VNX with all these super smart Fast Cache, Virtual Pool things. Is SLOB good enough to be a proof of concept tool? Or should we spent time (which is money) creating test machines and reproducing production workload on them? Only you can decide is SLOB is a useful tool. If you want to drive storage with an Oracle Instance I/O workload then, yes, I personally think it is about the best out there because it is free of any transactional overhead whilst performing true, Instance I/O. As for the little snippet of day you’ve posted it looks to me like one of two things is true, either a) your random reads are touching spinning disk with end-to-end wait time of 6.6ms or b) the physical I/O is much faster than that and there is scheduling time being added to the end-to-end wait time. How many processor cores are there dealing with this 8 session SLOB test? Can you send the entire AWR? I always like seeing these. there are two cores of Ultra SPARC VII+ allocated for the zone. Sure, it is only me to make a decision 🙂 Thank you! Could not run it because do not have AWR licensed. It would be nice if SLOB use Statspack. Is there any reason that SLOB uses AWR not Statspack? I’ve added runsp.sh and folder statspack/ with set of scripts that use Statspack. Testing now. Let me know if you would like me to send you these files. following Mark H’s update on statspack (see post dated 2012) , any update on a SLOB statspack version (runsp.sh) as don’t have Diagnostics pack licence for AWR either. When I run SLOB, pretty much we are doing a parallel full table scan. Why do I have the same number of physical reads and logical reads? Neto my friend, thanks for stopping by and posting. I’ll take a look at this. I’m sorry to say, but that’s not correct Kevin 🙂 As you can see Neto’s reads were direct path reads, so they bypassed buffer cache. However, every physical read is always counted as consistent get (LIO), which is a little bit confusing. If you want find out exact number of LIO counted by direct reads, you should check “consistent gets direct” statistic. @Pavol I said “blocks that pass through the SGA are prefaced by a logical read” so you countered with “…direct path reads, so they bypassed the buffer cache” What is your point? @Pavol ah, ok. I think with that reply you’ve clarified for other readers…unless you think I need to edit something? I don’t want to just dismiss your point. Let me know. It was my fault. So would you mind edit my original post and move it under your from “January 23, 2013 at 10:08 am”. Or maybe I can do it my self with new reply and you can delete the other (messing) stuff. Well it doesn’t seem to be correct. As you can see Neto’s reads were direct path reads, so they bypassed buffer cache. Every physical read is always counted as consistent get (LIO), which is a little bit confusing. If you want find out exact number of LIO counted by direct reads, you should check “consistent gets direct” statistic. That means logical read number from AWR summary will be always greater then physical reads. You must set this parameter to a value greater then concurrent connections. I’m looking for @reader @writer sql scripts . Possible to post the syntax please . Deprecated. Please see the opt of the post and follow the links to SLOB 2. Thanks for a great and useful IO testing tool. I tested it on a single instance DB on 3PAR storage and i got unbelievable good numbers. Here is some snippets from one awr report with 80 readers and o writers. Thanks for sharing your SLOB2 experiences. I presume this is either 4-node RAC of 2S servers or an 8S Proliant? Am I guess wrong? Please post the slob.conf for readers to learn the relationship between SLOB sessions * slob.conf->SCALE. This is the Active Data Set. it is over 35 000 IOPS per CPU CORE. I work for Amazon Web Services. The opinions I share in this blog are my own. I'm *not* communicating as a spokesperson for Amazon. In other words, I work at Amazon, but this is my own opinion. SLOB Chewed Up All My File System Space and Spit It Out. But, Why? Sneak Preview of pgio (The SLOB Method for PostgreSQL) Part IV: How To Reduce The Amount of Memory In The Linux Page Cache For Testing Purposes. Sneak Preview of pgio (The SLOB Method for PostgreSQL) Part III: Link To The Full README file for Beta pgio v0.9. Sneak Preview of pgio (The SLOB Method for PostgreSQL) Part II: Bulk Data Loading. Sneak Preview of pgio (The SLOB Method for PostgreSQL) Part I: The Beta pgio README File. SLOB Can Now Be Downloaded From GitHub. Whitepaper Announcement: Benchmarking Amazon Aurora. All content is © Kevin Closson and "Kevin Closson's Blog: Platforms, Databases, and Storage", 2006-2015. Unauthorized use and/or duplication of this material without express and written permission from this blog’s author and/or owner is strictly prohibited. Excerpts and links may be used, provided that full and clear credit is given to Kevin Closson and Kevin Closson's Blog: Platforms, Databases, and Storage with appropriate and specific direction to the original content.